These men came in ready to fix the problem and to work hard, the prices are fair and the workers are very nice. I will be using them again. Great guys, great service, on time and a clean job. I have already passed their name on to my friends. I used this company for the first time one week ago, and so far so good. I will be using their services again very soon. 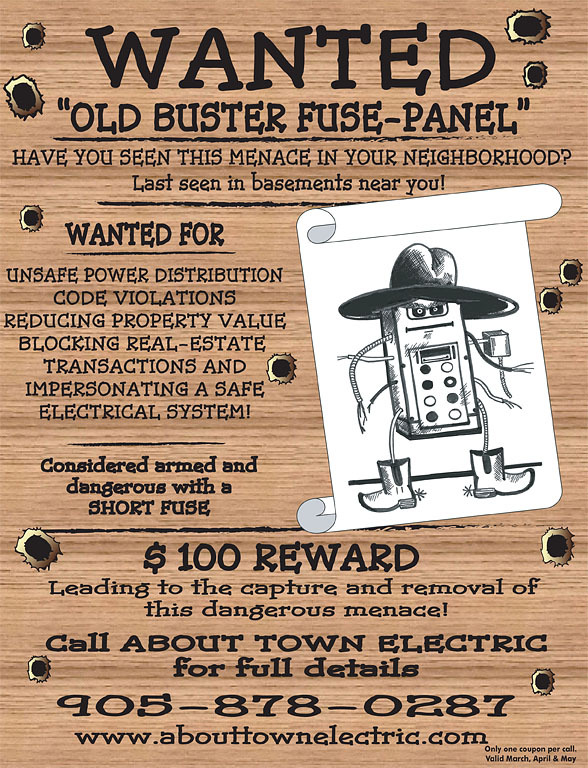 Most electricians come in a try to sell you services you don’t need – not these guys. Straight forward to the point and FAIR! Great job guys and thanks a million times. Excellent service from start to finish. I highly recommend this company as they are courteous, prompt and knowledgeable. I needed some difficult light fixtures installed and these guys are GREAT! They came on time and finished in record time! No messing around. Reasonable prices too. I am writing this letter to thank you for your outstanding performance and service in reference to the repair, upgrades and renovation after inside plumbing flood damage had completely destroyed our entire home. I was so happy to have your electricians get our home in working order and up to code. As you know, we had extensive water damage to the entire main floor and basement areas. The entire electrical system had to be renovated, rewired, and completely redone in order to be livable again. I also had a new breaker panel installed at the advice of your electrician during a home inspection. I needed a lot of work, time, and energy put in to be able to live in our home again. You succeeded in doing just that my family. I cannot express my gratitude for your overall performance and the quality of service I received from beginning to end with your company – from the first call to the last. Thank you again for saving my home from what could have been a nightmare! I appreciate the welcome home flowers and card as well. It made coming home a real pleasure. Please pass on my best wishes and thanks to all your staff involved and God bless. I would like to send my thanks for all your hard work when I needed work done in my home. As a senior I am unable to do small jobs around the house anymore and was skeptical about calling someone else in. However, I was very impressed with your electricians. I never expected them to put covers on their shoes when they came into my house! It was a very nice gesture. I was very happy when they finished in the time frame they said as well. I would highly recommend your company to anyone I know needing electrical service. We would like to express our sincere thanks to you and your staff for all your assistance in our home renovation and Knob & Tube replacement project. It was a pleasure to work with professionals like yourselves. We were impressed for the beginning, when your technician came out to visit in our home and walked us through the entire renovation procedure making the project easy to understand. We appreciated all the valuable input and knowledge. The time consuming period of a home renovation can be trying and sometimes unpleasant but with your help, service and speedy work we were happy to have it completed with no problems! Thank you once again to you and your amazing team – it was a pleasure doing business with you! We look forward to utilizing your services in the future and we will definitely recommend your services to our friend and family.